Professor James Arvanitakis is the Dean of the Research Graduate School at the University of Western Sydney and the Head of The Academy. He is also a lecturer in the Humanities at the University of Western Sydney and is a member of the University's Institute for Culture and Society. He sits on the board of the Public Education Foundation and is a research fellow at the Centre for Policy Development. In 2012, James was awarded the prestigious Prime Minister's University Teacher of the Year Award, and is currently the lead researcher for an Australian Research Centre Discovery Grant studying the changing nature of citizenship. 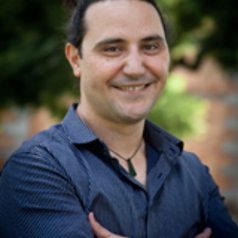 In 2015, James was named an Eminent Researcher by the Australian Indian Education Council. His latest book, Sociologic: A sociological analysis of everyday life, will be launched with Oxford University Press in December 2015.